Could Matt Hardy return to Impact Wrestling/TNA? Could Matt Hardy make a triumphant return to Impact and the Broken Universe? Matt Hardy has been talking about his future in professional wrestling and has had some interesting things to say regarding a potential return to Impact Wrestling. Hardy left Impact Wrestling in early 2017 after failing to agree on a new deal amid rumours of both a pay cut and less creative control over his incredibly popular 'Broken Universe'. But would he actually return? Hardy has seen mixed success with his 'Woken' gimmick during his current WWE run. It has often proved disappointing to most fans who have viewed it as a toned down version of his acclaimed work during his Impact tenure. Despite this, Hardy's WWE run has allowed him to introduce his character to a much larger audience, with a noted high point being the 'Ultimate Deletion' on the March 19 edition of Raw. Injuries have left his in-ring career with the WWE in question and he also enjoys spending time with his young family. Both Impact Wrestling's much lighter taping schedule and the chance to resume creative control over his broken gimmick may make Hardy seriously consider a return when his current contract expires with WWE. The initial battle between Reby, Matt and Impact Wrestling executive Ed Nordholm looked to have burned all bridges of any future return but recent interactions between the parties have been civil. Matt recently posted a backstage photo of himself and Nordholm which appeared to signal the end of the feud after Hardy was given permission to use his Impact character in the WWE. The other potential obstacle could be the wages that Hardy commands. 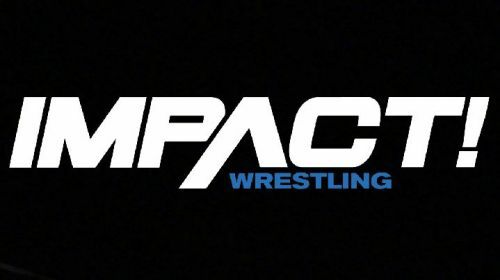 Despite how good the weekly show has been in 2018, Impact Wrestling continues to have well documented financial problems which has led to a number of top stars leaving in the last six months, including EC3, Bobby Lashley and Sienna. It should be noted that Alberto El Patron's sudden departure in April may have freed up some finances as Impact has yet to replace their highest paid performer or bring in additional talent. While Matt Hardy appears content in the WWE, questions remain over both his in-ring future and the direction of the Woken Universe. Impact Wrestling's lighter schedule and greater creative control are likely to appeal to Hardy upon expiration of his WWE contract. Hardy likely feels happy to have had one last successfully run with America's biggest wrestling company and in a year's time, he may feel it's time to wind down his career. Impact Wrestling would be the perfect destination to do this and resume the Broken Universe.